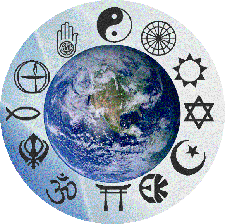 Spiritual Companions welcome diversity. As we take a person-centred approach we therefore encourage everyone to develop their own understanding and definition of spirituality. At the same time we need to be explicit about our own terms of reference. Recognising that this is a cultural minefield we tend to use the following definition which we find works well in education, healthcare and social services . Spirituality is everyone’s natural connection with the wonder and energy of life; and the instinct to explore that experience and its meaning. Spirituality affirms that personal development is about the growth of compassion and consciousness — not material success and status, but love in action. This definition sits comfortably within the global trend away from adherence to a single faith tradition towards a more generalised, diverse and inclusive approach. In other words: spiritual but not religious. Repeating what is written above, we suggest that at the heart of spirituality is every individual’s own authentic experience of the wonder and energy of life. Connection. This then requires that the individual has the maturity to self-manage their self-development — the growth of compassion and consciousness, heart and mind. Reflection. And of course it is crucial and fundamental that we live a life that benefits the world around us. Service. Within the community of Spiritual Companions people come from a wide variety of faith traditions including none at all. We are not associated with any faith tradition. We encourage and support people in developing their own mature and autonomous approach to spirituality and self-management. At the same time we respect that many people feel strongly rooted in certain spiritual traditions and we warmly welcome them too. When I first heard about the Spiritual Companions project, it immediately ‘grabbed’ me as filling the niche for the great numbers of people who are seeking something spiritual but are not impressed by the dogmas of orthodox religions. I felt hugely honoured and privileged to be a part of it. Teaching and facilitating spiritual development courses and Spiritual Companion guidelines is a joy, both in seeing others grow and in the learning and growth that I also achieve. The concept of spiritual companionship, that is, pastoral care without the baggage of specific religious doctrine, is crucial in our culture, in our time. So many people who are disenchanted with the narrow focus of institutional religions crave a spiritual life, a spiritual path. Spiritual Companions are well equipped to help those who are “not religious, just spiritual” to open their awareness, understand their quest and develop a satisfying spiritual life. Do you have a question about your spiritual path? Would you like to connect with a local Spiritual Companion or group? We welcome enquiries and invite you to contact us or perhaps you would like to find a Spiritual Companion?. 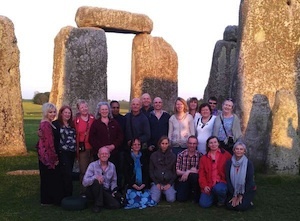 A group of Spiritual Companions have a private access visit to Stonehenge. We are producing videos to support our students and our work. They will give you a taste of our approach. There are many benefits to becoming a Spiritual Companion - for you and the community you serve.